The church has always lived on the thin edge between expansion and extinction, and often, innovation provides the tipping point. 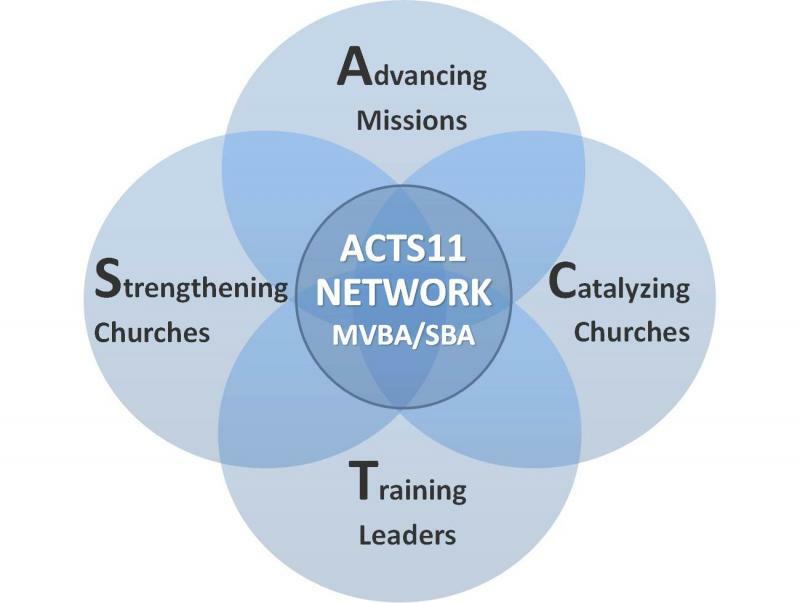 Acts 11 is about fundamental paradigm shifts and the sharing of the gospel, leadership, and resources for the advancement of God's mission. As the church scattered from Jerusalem due to hostile circumstances, they faithfully sowed the gospel and gathered the harvest into faith communities, resulting in the multiplication of disciples and churches (Acts 11:19-21). One prominent faith community was established in Antioch, where the shared leadership of Barnabus and Paul resulted in the maturation of believers through encouragement and a process of discipleship (Acts 11:22-26). · FOCUSED on advancing God's kingdom through catalytic efforts in 4 vital areas by staying aligned with God's purposes and allied with godly partners. · FAST in order to respond to challenges and opportunities. Structures will be streamlined--lean and not layered--to enable timely decision making and enhance movement rather than maintenance. · FLEXIBLE in order to adapt to and even anticipate change and changing needs-- being ready and expectant, learning to bend according to God's will. · FRIENDLY toward one another and other churches and entities, cooperating and sharing resources for the glory of God while striving to be both user and people friendly. · FRUITFUL as God blesses, measuring "success" by increased mission commitment and activity, healthier churches, and multiplication of disciples, servant leaders, and churches.